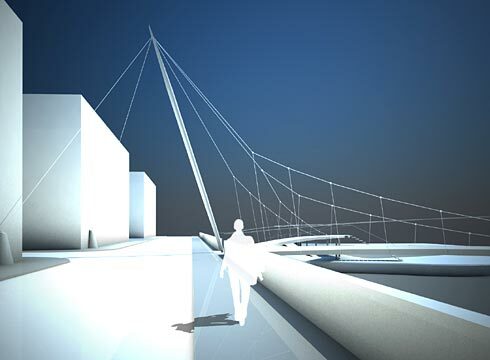 The topic was a pedestrian bridge crossing the rochdale canal, connecting new residential areas. Three banks had to be connected and best vertical clearances were required. 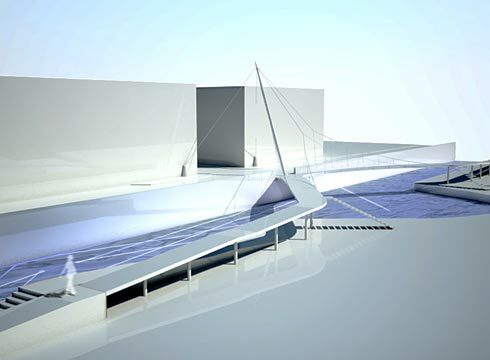 The design focusses the layout to the existing quay wall in a symmetrical way. 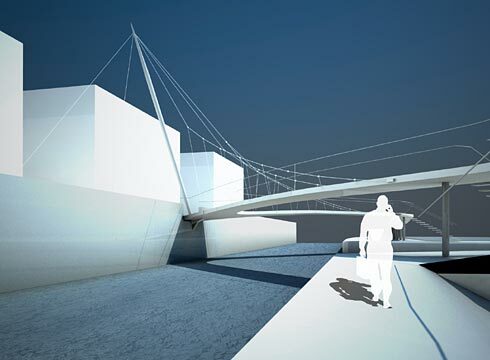 Here the entrance to the bridge is marked by a back-anchored pylon. 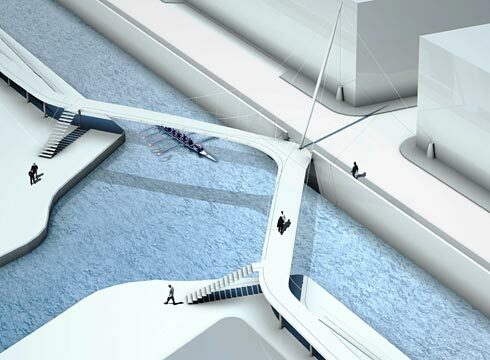 The decks are suspended from the pylon by a delicate, spacious cable structure. The prefabricated steel construction and the precast concrete units for the decks guarantee a short construction period.